This contemporary style, tailor-made bedroom was designed for twins in an urban apartment building in the center of Tel Aviv. When designing a room for two or more children, a unique form of imagination needs to be tapped into. The small dimensions of the room required a functional design for the client's growing children. 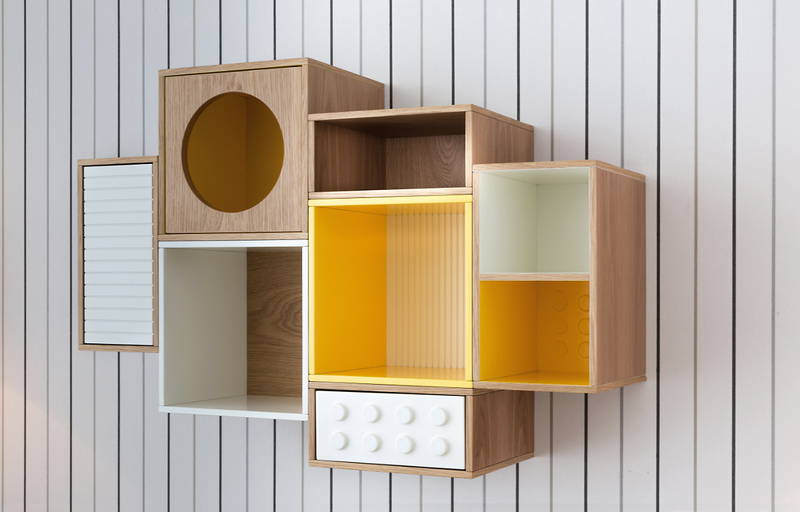 The custom furniture pieces are inspired by our Lego Collection, including two modern upholstered twin beds, a handmade rug, textiles and unique dolls, creating a total design package. The simple lines of the room's design aesthetics are seen throughout the space. The yellow and grey color palette creates a sunny space perfect for both play and rest.